New releases of Microsoft’s flagship operating system are typically greeted with a combination of angst, curiosity, confusion, and dread in equal measure. However, I believe that Windows 10 is Microsoft’s next big achievement. Breaking the cycle of numbered releases and device specific upgrades every few years, Windows 10 is giving modern IT users what they want, where they want it. With the upgrade strategy change, Microsoft is moving away from Windows as a product to Windows as a service. This makes complete sense on paper, but migration becomes a wholly different proposition to what many organizations have experienced before. An OS migration can be a huge undertaking at the best of times. Organizations often underestimate the planning phases for major IT initiatives and analysts recommend at least 12-18 months to prepare for the migration project. 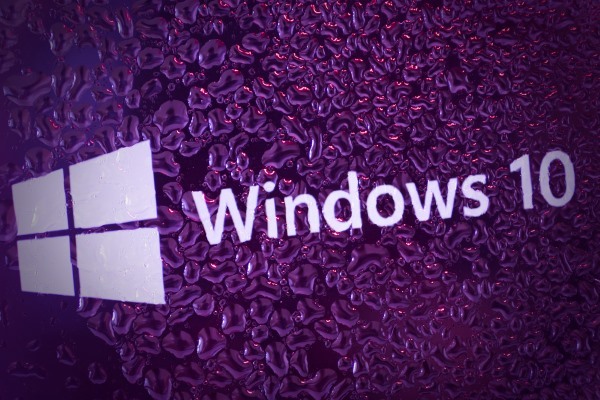 Windows 7 is planned to go end of life in 2020, which means regardless of migration approach, virtually every organization will need to deal with Windows 10 in the next five years. Companies can update their environment in a number of different ways. Some decide to adopt a new OS through upgrading existing PCs. Some might do a complete hardware refresh or do a staged adoption through new hardware acquisition. Larger organizations often do a hardware refresh that aligns with a new OS launch to eliminate a full migration. Even if the upgrade is free, organizations must be aware that the cost of migrations is about much more than the OS license. Microsoft is promising very high compatibility with Windows 7, but organizations must still plan and budget for a substantial effort involved with compatibility of key applications and potentially costly remediation or upgrades that may be required, especially for Internet Explorer specific applications. Windows 10 also introduces a number of changes from an operational perspective (changes to security, application management, etc.) that will require careful planning to implement. Manually performing OS migrations on hundreds, thousands, or even millions of devices is simply not practical or cost-effective. A much more effective approach is to adopt an automated OS deployment that enables the centralized scheduling, configuration, and implementation of Windows 10 editions. Asset management - Preparation for migration begins with a deep understanding of enterprise resources and requirements, so a full inventory of the support stack is essential and should include both hardware assets (e.g., system model, CPU, memory, devices, peripherals, etc.) and software assets (e.g., applications, drivers, and system tools). This information will be used to establish a baseline for identifying issues that will need to be addressed during the migration, and it helps prioritize which system, service, and task deployment activities should be performed first. Role-based management - User profiles identifying permissions and configurations are grouped based on the user’s job function (e.g., accountants, marketing reps, IT support staff, etc.). Ideally, these user roles are imported for an enterprise IT listing service, such as Active Directory or LDAP, to ensure consistency across the enterprise. Deployment multicasting and scheduling - Multicasting allows multiple systems to be migrated simultaneously. While it is fast, this approach may also saturate a network that is also used to support production services. With deployment scheduling, migrations can be initiated during low-use hours (e.g., evenings and weekends) or can be spread out to minimize impacts to the network. Migration process monitoring - With a broad number of deployments happening simultaneously, it’s easy to overlook critical installation and configuration failures. The quicker migration difficulties are identified, the faster they can be remediated, reducing the number of occurrences of similar problems on other endpoints in the migration schedule. With the proper migration tools in place, transitioning to Windows 10 can be embraced, rather than dreaded. If done correctly, strategically planned change can provide a competitive edge at a time when both markets and organizational requirements are rapidly changing. Eric Aarrestad, VP & GM, Unified Endpoint Management Business Unit, HEAT Software.